It is not getting any better for the alleged dollar-in-pocket-man, Abdullahi Ganduje of Kano State. The contractor behind the videos showing the governor purportedly receiving bribes, says he is ready to testify before the state assembly panel investigating the matter. In a letter sent to the chairman of the investigative panel, through Saeed Muhd Twada, his lawyer, the contractor referred to as a ‘whistleblower’ said his allegation against Ganduje is strictly personal. 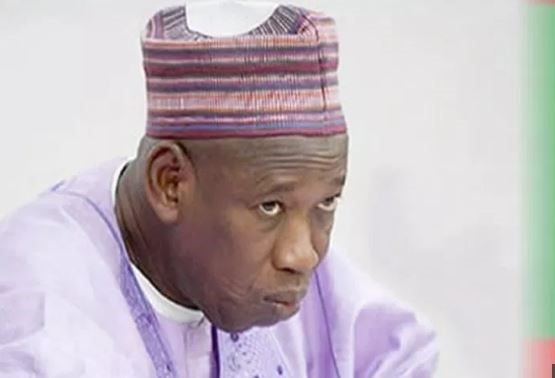 Daily Nigerian, an online newspaper, had published at least 4 videos showing Ganduje allegedly receiving kickbacks from contractors but the governor denied the allegations. The Kano assembly subsequently set up a seven-man committee to investigate. The unidentified contractor, however, said his appearance before the panel will be based on the fulfillment of some conditions which were listed in the letter, TheCable reports. Also Read: Who Is Selling Chieftaincy Titles In Kogi? 1. That all the video clips will be submitted to two experts for forensic analysis and report — one, a serving officer of the Department of State Services (DSS) and the other an expatriate, while their bills will be paid for by the state. 2. That a Certified True Copy of the Report(s) prepared by the experts shall be made available to our client prior to his appearance,” the letter read. 3. That our client has undertaken to surrender to the experts, the device used in capturing all the events in the video clips submitted and others yet to be submitted for discreet analysis and scrutiny. 4. That all the proposed questions to be asked by the panel in the anticipated session shall not be more than TEN (10) and shall be forwarded to our client in advance. 6. That the panel must also have in attendance the governor, Jaafar Jaafar, publisher of Daily Nigerian newspaper, and one Aminu Daurawa.